The show Mos Def put on at Chicago's House of Blues on Sunday night almost felt more like a hip-hop history lesson than a concert. Last week I reviewed Mos Def‘s brilliant new album, The Ecstatic. My favorite reaction to this review came from a university music professor who is just now discovering and learning about hip-hop music. Since rap is so often criticized by those who know little about it, I always find it refreshing to hear about somebody making a calculated effort to gain a greater appreciation for the art form, particularly when the person is an expert on music. It seems fitting that Mos Def should be the artist to help such a person cross that divide. 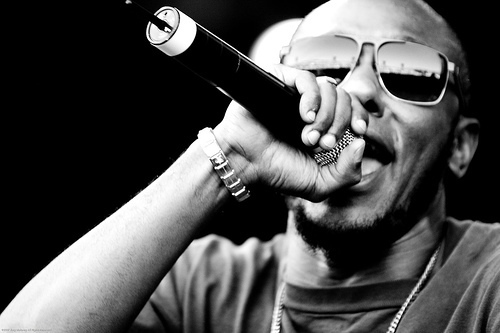 As I pointed out in last week’s review, Mos Def has a knack for broadening the horizons of the often insulated hip-hop world, be it through exploring the rock n’ roll roots of the movement, as he did on his first album, or through showcasing the globalization that is about to take the genre by storm, as he did on The Ecstatic. Last week’s commenter proves that Mos can be equally effective at the reverse, introducing hip-hop to a general populace that is often unresponsive to an art form it sees as immoral or crass. He points out that there is more to this genre than a quick scan of Top 40 radio would lead a listener to believe. The show Mos Def put on at Chicago’s House of Blues on Sunday night almost felt more like a hip-hop history lesson than a concert. While most rap songs are built on samples and elements of a variety of musical genres, Mos took the concept to the next level, letting the original soul and R&B tracks ride out while he sang along or just danced around the stage. At one point he fiddled around with Michael Jackson’s “Billie Jean” (one of several MJ songs that played over the course of the evening) for what seemed like twenty minutes, transitioning from the line, “She’s just a girl who claims that I am the one”, into “U R the One”, his own high school-poetry sounding track from 2006’s dismal career misstep, Tru3 Magic, before meandering back into “Billie Jean”. This tour is being billed as The Ecstatic tour, and, true to its name, Mos performed the majority of the album. The songs, challenging as they may be at times, translated well to the live environment. The notably easy-going audience responded positively, even though Mos shied away from most of the older stuff. Still, he found the time to touch on a couple Black Star songs, “Definition” (see below) and “Respiration”, rapping Talib Kweli’s lines along with his own. But while the set was intriguing and showcased the artist’s respect for the history of the culture, it also suffered from some very questionable flaws. Mos’ jukebox routine brought to mind another legendary live act, The Roots. But where the latter put on full band jam sessions, Mos elected to simply go with two DJ’s. This is certainly an acceptable format, and is indeed the basis of the genre, but when the artist on stage only works a few of his own songs into the second half of his nearly two hour set — a marathon by rap standards — the audience starts to wonder who exactly they paid to see perform. After what could best be described as an aimless wandering through his diverse record collection — which I feel obligated to report included John Denver’s “Leaving On A Jet Plane” — he kicked it up a notch with fan favorite “Umi Says” off his excellent debut, Black On Both Sides. Unfortunately, this would turn out to be the only time he ventured into that album. After rambling around for a few more minutes he left without playing staples like “Hip Hop” and “Ms. Fat Booty”. microphone, at least judging by what it says on my ticket stub, is the main event. Still, the sold out crowd at the House of Blues didn’t seem to mind, eating up the routine and setting the floor on fire. So who am I to judge? 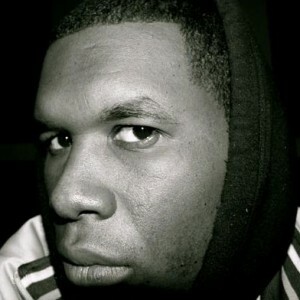 New Orleans rapper/producer Jay Electronica opened. He talked nearly as much as he rapped, which was okay because he had some of the more entertaining stage banter I’ve heard this summer, from referring to North Siders as suburbanites to the ludicrous claim (that he’ll never have to back up) that he would take Jay-Z and Lil Wayne in a rap battle. I’m starting to see what Erykah Badu sees in the charismatic rapper. All in all it was an interesting evening. Mos was equal parts enchanting, weird and funny. He was at times brilliant, more often irritating. He carried himself with the swagger of a rapper, the soul of a musician, and the eccentricity of an actor. It was a strange show, but in the end it was not an unpleasant one. If nothing else, rap could use more artists willing to break the mold of a typical rap concert.